InterGame magazine provides unrivalled access to FEC and amusement arcade owners worldwide and their extensive budgets.Established for more than 20 years, InterGame is the longest-standing magazine serving the play-to-play / coin-operated amusements sector internationally. It has an extensive, continuously updated operator database and is recognised worldwide as the leading source of news and analysis for the industry. InterGaming established as an essential read for global gaming executives, InterGaming carries the latest headline and product news, C-level interviews, operator / supplier forums and in-depth market analysis. Published in print and digital format with multi-platform distribution, it has a global reach of 12,000+ readers. It is distributed in print at more than 15 trade shows annually. 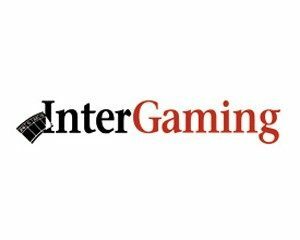 iNTERGAMINGi Published bi-monthly, iNTERGAMINGi is read by thousands of online gaming executives around the globe. Each issue is full of industry news, analytical features, interviews with industry leaders and trade show reviews. It regularly includes regulatory updates and jurisdictional supplements. Each issue contains sections dedicated to the sports betting, casino gaming and affiliate sectors.